What is the right date for PHP Unconference Europe? Our goal is that the event takes place on 29 to 30 January 2011. 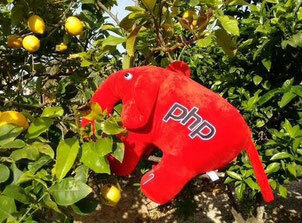 Please contact us, if you know of any good (PHP) reasons for another date. Last night, the organizers of PHPucEU met up via Skype to decide upon the city in which the unconference should take place. From our short list of cities, we unanimously voted for Manchester, UK. The support from the local PHP usergroup in Manchester and North West England - PHPNW - has been fantastic and has helped us get a really good overview of possible venues. Moreover, Manchester is easy to reach from most other European cities. We are now formally planning PHP Unconference Europe to take place in Manchester on 29 to 30 January 2011, unless another competing event is going to take place on exactly the same weekend. Please contact us, if you know of any good reasons why we should not organize the unconference on this weekend. One foyer that can hold 200 people. Four session rooms, seating approximately 40 people each. WiFi for everyone, everywhere in building. Projector in the four session rooms. The four session rooms should be directly connected to the foyer. If anyone knows of such a venue in Manchester, please contact us. In 2010 the last weekend of January was the PHPBenelux conference, I don't know if they are planning a repeat episode this year but perhaps they could choose a different date. The PHPucEU could take place one week later. That would be on Feb., 1st/2nd. Any comments? The PHPucEU could take place one week later. That would be on Feb., 5/6. And this collidesw with FOSDEM in Brussels.... Finding a new date for the PHP Unconference Europe seems to be complicated. Should PHPucEU take place earlier or later than 1st weekend of february? Which events do you know in Jan./Febr. ?